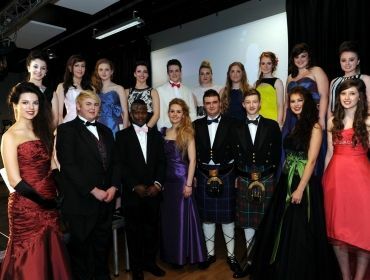 On Thursday, 25th April, there was a fashion show in aid of the chosen charity – the Leah-Beth Richards Foundation – of Rhondda Cynon Taff’s current youth mayor, Jenna Claridge. And what a night it was. The event took place in Coleg Morgannwg’s Nantgarw campus and featured young people from RCT – including Wicid’s own Martyn & Crystal. 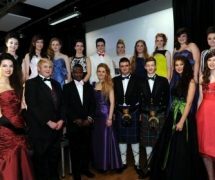 There were four different themes – beachwear, daywear, night-out and prom. Each model looked absolutely fantastic in each outfit which were donated from Outfit, New Look, The House in Town, The Gallery, The Bridal Box, Studio 51 and Dyfed Menswear. The whole event was not only interesting but also very useful for anyone who has a passion for fashion (sorry, cheesy, but there was no other way to word it) as the compere gave the details on each item of clothing, the price and where it came from. The majority of the clothes were at a very good price which is ideal for young people and students of Rhondda Cynon Taff. For entertainment, we had the multi-talented Jenna Claridge entertain us. Not only is she the current Youth Mayor and model material, but she is also an excellent singer. The event, overall, was very entertaining and well organised and I enjoyed every minute of it. I think my favourite theme was prom as the outfits were absolutely breath-taking and ideal for the formal events such as proms and weddings. A massive well done to everyone who was involved in the event, especially the models who took their time out to volunteer for the fashion show. The photos and footage that Wicid took at the event – including interviews with the Youth Mayor, Jenna Claridge, and Deputy Youth Mayor, Sam Akintioye – will be live with this article on the 12th May, so keep your eyes peeled. But, for now, you can find more photos of the event here.